Monopoly Board Game Back to The Future Collector Edition Age 8 . Monopoly is sold in 111 countries. Cluedo has been played from Madrid to Miami. 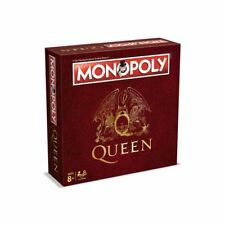 Tour the world with the band and buy gig locations and hit singles. Take your chances with A Kind of Magic and In the Lap of the Gods cards as you tour the board as one of the iconic Queen bespoke tokens. New and sealed - unwanted gift. Invest in Cities and Towns and trade your way to success. Descend into a world of myth, magic and legendary adventure to battle for victory. Invest in Cities and Towns and trade your way to success. World Football Stars Trivial Pursuit Quiz Game. Monopoly Rick and Morty Edition Board GAme. Condition is New. Dispatched with Royal Mail 2nd Class. Trivial Pursuit Big Bang Theory Family Knowledge Quiz Board Game. Falmouth - Seaside Monopoly. 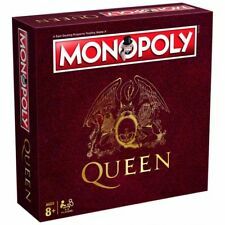 Title Monopoly. Nerf Rebelle Toy - Lumanate Blaster With Glowing Darts - Hasbro 1224037. Tour the world with the band and buy gig locations and hit singles. Take your chances with A Kind of Magic and In the Lap of the Gods cards as you tour the board as one of the iconic Queen bespoke tokens. Trivial Pursuit Bite Size Knowledge Game – New for 2018 – Choose Your Favourite! 4.5 out of 5 stars - Trivial Pursuit Bite Size Knowledge Game – New for 2018 – Choose Your Favourite! 22 product ratings22 product ratings - Trivial Pursuit Bite Size Knowledge Game – New for 2018 – Choose Your Favourite! Invest in strongholds and fortresses and trade your way to success. Roll the dice to begin your property building empire in this new version of Monopoly. Fun for children and adults. Suitable for everyone over the age of 8. 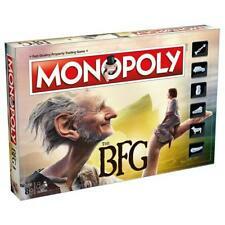 The Walking Dead Survival Edition Monopoly Board Game. The aim is to be the last person on the board. This is the footer. More links or text can go here. Doctor Who - Time Travelling Board Game. Condition is Used. Dispatched with Royal Mail 2nd Class. Lord Of The Rings Trilogy Edition Monopoly Family Board Game. House of Puzzles. age 8 and above. Traditional family fun. JR Puzzles. 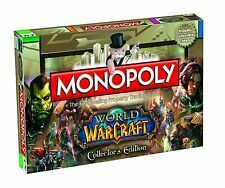 Rick & Morty Edition Monopoly Family Property Trading Board Game. This is still new and sealed. World Football Stars Trivial Pursuit Quiz Game. Condition is New. Dispatched with Royal Mail 2nd Class. Monopoly Rick & Morty Edition. Wubalubadubdub it’s Rick and Morty MONOPOLY! Join Rick, Morty and the Smiths as you gallivant your way to victory in Rick and Morty MONOPOLY! It’s MONOPOLY with a Rick and Morty twist! Crystal Palace. Coventry City. Cleveland Cavaliers. Chicago Bulls. Chicago Bears. Brooklyn Nets. Boston Celtics. Borussia Dortmund. 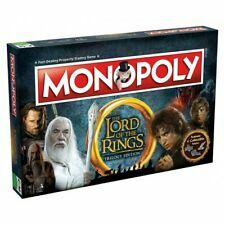 As ambitious as director Peter Jackson's The Lord of the Rings movie trilogy itself, it's The Lord of the Rings Trilogy Edition Monopoly! Those 6 collectible tokens include Bill the Pony, Aragorn's Crown, Boromir's Gondorian Horn, Sting, Elven Brooch, and Gandalf's Hat. RICK & MORTY MONOPOLY. About Speedyhen. Wubalubadubdub it’s Rick and Morty MONOPOLY! Join Rick, Morty and the Smiths as you gallivant your way to victory in Rick and Morty MONOPOLY! Featuring 6 collectible tokens, Flooble Cranks, Gooble Boxes, and more. The world of DC Originals is back with its very own edition of Monopoly! Rick and Morty Monopoly. Featuring collectible tokens, Flooble Cranks, Gooble Boxes, custom Flurbo currency, and more! You won't be waiting for your loot for very long! All major debit and credit cards accepted. Trade Your Way to Success. Howleys Toys, 5 Frederick Place, Weymouth, Dorset. Build Flooble Cranks and Gooble Boxes. Featuring collectible tokens, Flooble Cranks, Gooble Boxes, custom Flurbo currency, and more! 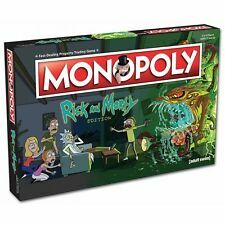 Wubalubadubdub it�s Rick and Morty MONOPOLY! Join Rick, Morty and the Smiths as you gallivant your way to victory in Rick and Morty MONOPOLY! Featuring 6 collectible tokens, Flooble Cranks, Gooble Boxes, and more. The world of DC Originals is back with its very own edition of Monopoly! Battle your way through the different worlds and conquer LexCorp or Wayne Industries as you tour the board gathering your selection of heroes and super villains. Monopoly Rick and Morty Edition Board Game. Condition is New, never used and still wrapped in the plastic. Dispatched with Royal Mail 2nd Class.